Indian traditions are practices that aim at general well-being. Hawan is a part of Indian tradition and is performed to purify the mind of the participants and the atmosphere around. 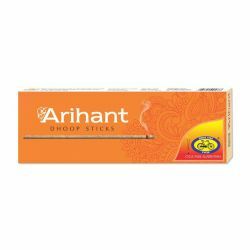 Hawan is a way of making this world cleaner, greener and a better place to live in. 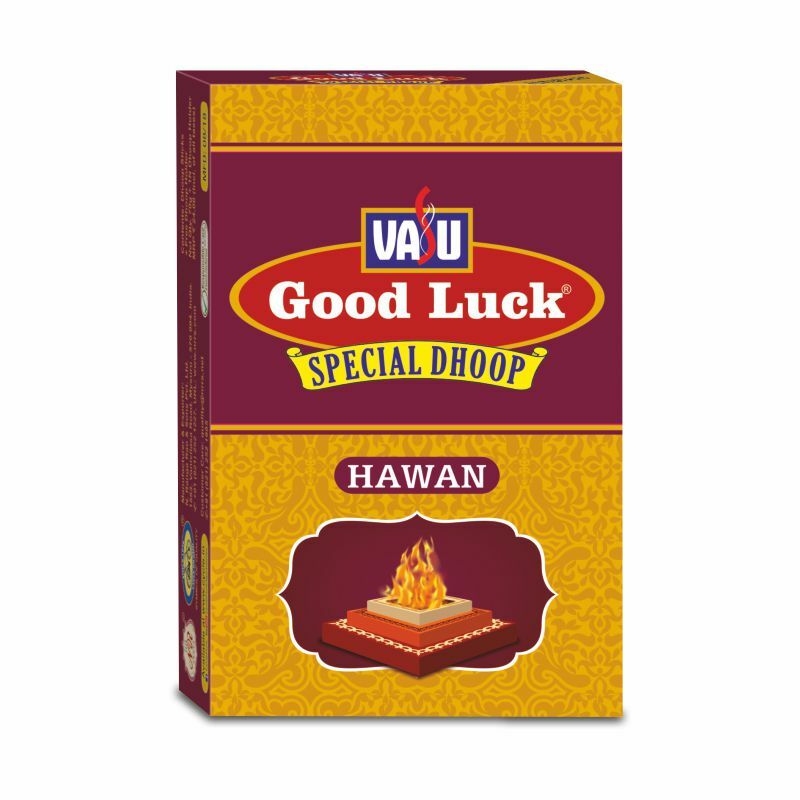 Hawan brings about an auspicious and divine ambience. 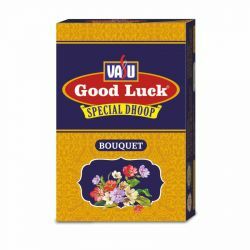 Vasu Good Luck Hawan Special Wet Dhoop is made of chosen herbs, ghee and resins to make the environment fresh, clean and fragrant. This is specially designed to make the surroundings pure and thereby create an ambience of peace and tranquillity. 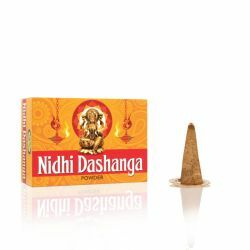 Take the required quantity of the wet dhoop and knead and shape it into a cone before lighting the tip of the cone; allow the flame to catch and gently put off the flame.